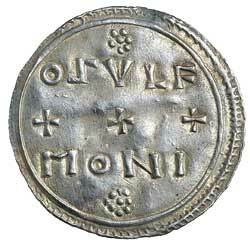 EADMUND, (939-946), silver penny, two line type, North Western regional mint, (4.48 g), Osulf moneyer, (S.1105, N 691). 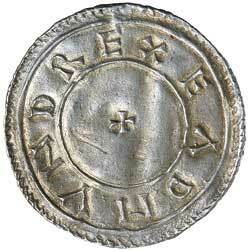 Toned, good very fine and rare. Ex Matthew Rich Collection and previously The New York Sale XXXVII, lot 1028.